Amazon’s Buyer Opt Out gives buyers the chance to stop receiving unsolicited emails, but don’t worry this could actually be very good for you. When you go to a restaurant the server will often keep coming to the table to check in and make sure that you have everything you need. Some people love it, others hate it and the same is true for emails from Amazon sellers. For every buyer who wants to hear from sellers, there are others who are irritated and angry by the very prospect. This is why Amazon introduced a buyer opt-out policy. When Amazon introduced buyer opt-outs for people who don’t want to receive unsolicited emails, many sellers assumed the worst. If Amazon was about to move away from allowing and encouraging sellers to ask for feedback, life was about to get a whole lot harder. First, let’s look at what happens when buyers want to opt-out. Your customers will all want different things. Although many will love the little personal touches you include in those follow-up emails, others would rather dispense with the formalities and keep communication to a minimum. You can still send essential communications if it’s related to their order – like messages pertaining to delivery or shipment. To avoid having critical messages bouncing back, go into Amazon Seller Central and select manage orders. Select the customer and click on the ‘contact customer’ link. When choosing a subject heading, select ‘Additional Information Required’ and select send. This should flag the message up as being critical. If you’re using another platform to send messages such as Feedbackwhiz, you should include the world [important] in the message including these brackets to ensure the message gets through. However, it is essential that you only use this method for absolutely mission-critical issues. However, all those follow-up emails you might like to send, the ones that check in to make sure everything is okay with their purchase, would then be off the table. Instinctively, you might think that’s bad news because it eliminates one of your options for communicating with your customers, but that’s not the case and here’s why. Most people don’t opt-out. Opting out requires effort and most people won’t do this. For the vast majority of your customers, then, this won’t mean anything. You can continue to contact them in the same way you always have. You’re not missing anything: As for the minority of people who choose the buyer opt-out? Guess what, they were never going to respond to any of your emails anyway. They hate them. Either they are way too busy, their inbox is too full or they are simply don’t want to communicate with you. They will be happier: Whatever the case, communicating with these buyers isn’t going to encourage them to leave feedback, it won’t make them think of using you again. All it will do is frustrate them and that won’t help your cause in the slightest. This buyer opt-out, then, is doing you a favor. It means the people who don’t want to hear from you will be happier and more comfortable with their overall buying experience and a happier customer is much more likely to leave positive feedback and product reviews and you may even see them make repeat purchases in the future. With this in mind, you can understand why Amazon created their buyer opt-out policy. Amazon wants to keep all their buyers as happy as possible and to keep them in a buying frame of mind. People who use the opt-out will either leave feedback or they won’t. They will either come back to you for other purchases or they won’t. The only thing you can do is try to avoid annoying them. In many ways, the buyer opt-out won’t change the way you work. You will still use emails as part of your marketing strategies and they will continue to help you increase your feedback rating. The one thing you will have to take notice of, though, is compliance and this can be difficult. If a buyer has indicated that he or she wishes to opt out of receiving emails, you need to make sure you do not send any unless they are essential to an order. Otherwise, they may take up their complaint with Amazon which can land you in hot water. FeedbackWhiz directly integrates buyer opt-out data into the platform so you get real-time data which allows you to effectively not send emails to customers who have opted out. You can go to the order page, click on the buyer’s name to see if they have opted out. This will ensure that you never send an email, for any reason, to anyone who has expressed that they do not want to receive them. The buyer-opt out may, at first glance, seem like another one of those little obstacles sent to test your patience, but that’s not the case at all. Consider it another way to better connect to your buyers. 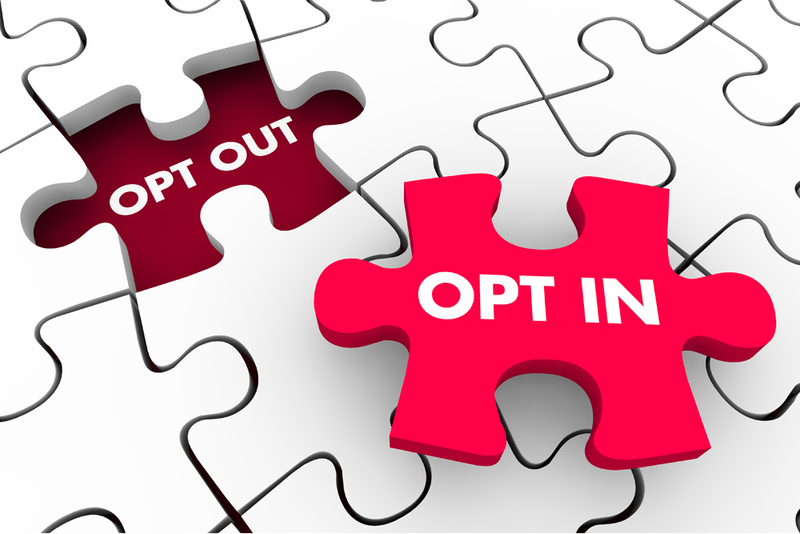 The opt-out helps you better identify exactly what it is the customer wants and allows you to better accommodate these wants. You’re not going to miss out on opportunities for feedback or reviews — the people who opt-out are not likely to leave these responses anyway.